Karlene Renee Gehring, 54, Bismarck, formerly of Hazen, left this world in true Karlene fashion, with much spirit on Nov. 26, 2014, after a short battle with cancer. Services will be held at 10:30 a.m. CST Wednesday, Dec. 3, at English Lutheran Church, Hazen, with the Rev. Derek Harkins officiating. In 2006, she started working with the Mercer County Sheriff’s Office as a correctional officer/911 dispatcher. After moving to Bismarck in 2013, Karlene worked at North Dakota State Radio. Those who knew Karlene will remember her lively spirit, sharp wit, sense of humor and her willingness to speak out against injustices in our world. She made friends wherever she went because she was never afraid to strike up a conversation with anyone —stranger or not. She said her greatest blessings were her children, grandson and husband. She enjoyed nothing more than simply sitting with her family and talking. She was actively involved with the arts. One of her greatest joy was being a founding member of Spotlight the Arts in Hazen and raising money to remodel the Hazen High School Theater as well as money for a yearly scholarship to a Hazen student involved in the arts. She also was proud to be a founding member of Sakakawea South Shore Community Theater based in Hazen, where she lit up the stage with her humor. People often laughed as soon as she walked on stage because of her well-known, humorous presence. She did this all alongside people she considered her greatest friends in life. 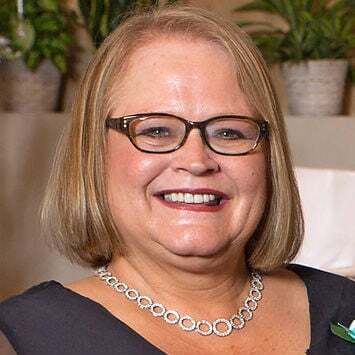 She is survived by her husband, Brian Gehring, Bismarck; her daughter, Kelsey (Jacob) Knecht and grandson, Gavin, Hazen; her sons, Carter (Kayla) Hill, Dubuque, Iowa, and Connor Hill (Maggie Jacobson), Hazen; her mother, Vivian (Dennis) Hoogland, Durango, Colo.; her brother, Steven (Pam) Morse, Cottage Grove, Minn.; life-long friend, Hillary Johnson; and many uncles, aunts, cousins, nieces, nephews and friends. She was preceded in death by her father, Darrell; one brother, David; her mother-in-law, Marlene Gehring; and her grandparents.